Job opportunities beckoning from a distance are exciting, but in this house market, those selling a home consider their likelihood of success a major part of the decision whether or not to pursue one of those opportunities. An experienced Realtor can help you make that decision. 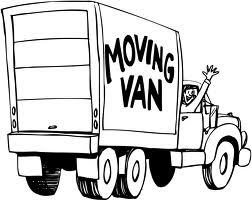 A moving van may be in your future if a job opportunity beckons. First, though, you have to sell your home. Recent figures released by the Otteau Valuation Group show some improvement in the real estate market since last year in MorrisCounty. For instance, last month, there were 483 homes sold in Morris County. A year ago, there were only 439 homes sold during May. Inventory is lower and there are fewer sellers for each buyer. Those statistics don’t mean much if you’re living in a home you purchased at the top of the market that will never sell for a high enough sum to pay off the mortgage. That can mean a quick end to pursuing a dream job out of town. That was the situation for Kathy and Bruce, who have a business and a home in Succasunna. They have a terrific opportunity waiting for them in Derby, Kan. The couple knows they can’t sell their home for what they paid for it, and they are considering working with The Holmquist Team and attorney Marty Egan to use a short sell to sell their home. “We have questions about the effect on our credit scores,” said Bruce, who will be meeting with us to discuss such issues. The key for people like Kathy and Bruce is to find a Realtor and an attorney that they trust. They need advice from both, working as a team on your behalf, to decide whether they can sell their home through aggressive marketing, keep and rent the home, sell the home through a short sale or pursue another alternative. All signs seem to be pointing to an economy that is slowly beginning to improve. That can mean the creation of new opportunities. If you’re thinking about pursuing them, if you want to get out from under an oppressive mortgage, or if you need to sell your home for any other reason, work with a Realtor to determine if selling your home will be a challenge. For instance, if you purchased your home 30 years ago, you don’t have a mortgage and you want to sell it and move to an active-adult community somewhere, your home needs a relatively simple but professional marketing program by a Realtor who understands the current market. But if your home is “under water,” meaning it isn’t worth what you owe on it, you may face special challenges, even if you are current with your mortgage. That’s when you need a Realtor and an attorney with extensive experience with distressed properties. With interest rates low and the market coming to life, now really is the time to put your home on the market. If you need help determining how best to do that, please give us a call.